East Nashville Rocks : The Record Four stories of rock and roll musicians making a home — and a scene — in a buzzing neighborhood just across the Cumberland River from the palaces of country music. Andrija Tokic in his East Nashville studio, The Bomb Shelter. How do you know you are in East Nashville? Follow the beards, a current joker might say. If you do, you'll find yourself in an area tucked in between Nashville's neat downtown and the city's eastern edge, separated from each by the twisting Cumberland River. To the west, tourists flock to the Country Music Hall of Fame and Ryman Auditorium — the "Mother Church of Country Music." The Opryland complex — the venerable stage and radio show's comfortably suburban home since 1974 — is to the east, where the city sprawls into malls, hotels and tourists attractions. East Nashville and its adjacent neighborhoods were originally bucolic enclaves favored by the wealthy, like Fort Greene in New York City or parts of Northeast Los Angeles. Then natural disaster and urban renewal made it "undesirable" — a place for working people, mostly non-white, and eventually for artists who appreciated the eminently salvageable history and the cheap space. Longtime residents will note that East Nashville has been gentrifying on and off since the 1970s. Right now, though, the rush is on. The neighborhood's been flooded, not by water, but by the artisanal products of today's consumer-culture elite. There's a bakery, Bella, that sells subscriptions to its sourdough bread, and a coffee shop, Barista Parlor, whose custom cuppas take ten minutes to make. Vintage clothing stores host screenings of forgotten horror movies, and at Fanny's House of Music high school girls shop for their first drum kits beneath paintings of Etta James and Sister Rosetta Tharpe. The old dive bar The 5 Spot is now featured in ABC's popular nighttime soap Nashville — a show that, everyone admits, has brought not just looky-loos but new residents to town. And everywhere, there are home recording studios, rehearsal rooms, nightclubs and friendly group houses where every variation of underground, retro, garage, indie, punk or otherwise unnameable rock is played. The rock and roll life of Nashville has always been a potent presence obscured by the large and powerful country music industry, the way the chewy caramel layer in the city's native Goo Goo Cluster candy hides within layers of nuts and chocolate. Ask a native about the recent resurgence of rock in Nashville, and he or she will inevitably remind you that Bob Dylan made Blonde on Blonde in a Music Row studio, and that R.E.M. recorded Document at the Sound Emporium. The symbiotic relationship between country and rock once symbolized by Elvis Presley and now kept alive by hit makers like Luke Bryan and Brantley Gilbert extends from the grassroots to the mainstream. And in 2014, it's more visible than it's been in a long while. The must-be-mentioned powerhouses Jack White, The Black Keys and Kings of Leon not only reside there; each cultivates lesser-known bands through their own labels or as producers. On the club level, Nashville bands count among today's most beloved, whether they're mosh pit generators like Diarrhea Planet or pop pastoralists like the Apache Relay. And then there are those as-yet uncelebrated bearded men and fringe-coiffed women, driving their used Subarus packed with futons and gear across the water, toward new roommates or lovers who might soon be in their bands. "East Nashville — it was already a worn out phrase when I came here," said the producer and recording studio owner Andrija Tokic, who moved to the area a decade ago, when he was 21. "To me it would be impossible to say what East Nashville is now. It used to be that I could go to any bar, and I would know everyone there, and everybody knew what everybody else was doing. Now, claims the name "East Nashville" for whatever their niche project is." To an outsider, Tokic may seem to overexaggerate. East Nashville isn't Brooklyn yet; it's not even Seattle. And Nashville remains known for country music, which has never been hotter, commercially. But East Nashville now is at the peak of the classic creative-class arc: A new generation of music- and other makers has built a lifestyle vibrant enough to be irresistible to outsiders, including wealthy locals and newcomers from other cities, whose presence makes it both more profitable to some, and unsustainable for others. There's no one story of East Nashville, or of Nashville rock. But a glance into the lives of three bands and the producer who connects them shows why artists at different stages of the creative life cycle are not just happy, but determined, to call East Nashville and its environs home. "I can't keep track of a local scene that much anymore because it's gotten so big and wide," said Tokic. But his own backyard isn't a bad place to to start looking into it. The Bomb Shelter recording studio sits on the kind of East Nashville street that feels like a wrong turn the minute you land on it, in a shotgun house painted a shade that a can of Sherwin-Williams would identify as "dusty rose." The Rottweiler who guards it is friendly, and there's a little back area centered around a vintage camper that would be good for a party; but there's no clear aura here, no famous name attached, no illustrious Music Row history. It's as humble as is Andrija Tokic, its unpretentiously bearded 31-year-old owner, who salvaged the Bomb Shelter's central piece of equipment, an MCI JH-600 analog mixing console — from the Washington, D.C. area studio where he'd first begun working as a teenager. 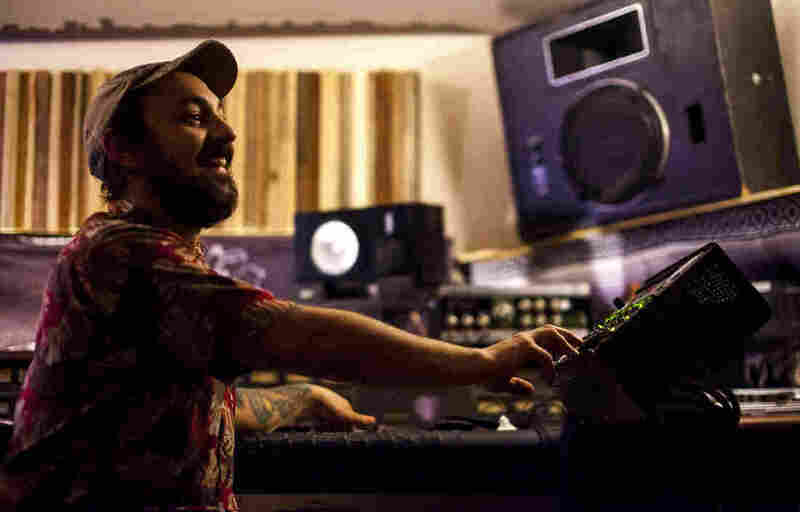 Andrija Tokic has produced or engineered albums by many up-and-coming bands at his Bomb Shelter studio in East Nashville, including recent recordings by Alabama Shakes and Hurray For The Riff Raff. Tokic bought the board when that studio, Avalon in Bethesda, Maryland, went to an all-digital format. "I was a little bit heartbroken that this console, which was this massive endeavor, the biggest challenge of my life to learn, was going to be up for sale," he said on a recent muggy morning, sitting in front of his treasure in the cedar-lined main area of the Bomb Shelter. "So I struck a deal with the owner. I installed their entire new digital setup — a massive job, I rewired the entire studio — as a partial payment for this board and the tape machine. And I took it home and was just going to store it in a room in my house, for sentimental reasons." But Tokic's reputation for "360 degree ears," as one artist he's recorded put it, followed him. Bands kept asking him to oversee their projects, and within a couple of years he built a studio around the board — first in his home nearby, where he and the Alabama Shakes recorded that band's phenomenal debut, then in the pinkish building on the edge of East Nashville, where he worked last year with Hurray for The Riff Raff on the critically lauded Small Town Heroes last year. Now the board has become a kind of centering device for one of Nashville's most vibrant musical scenes, attracting artists who like to record live to tape in a room where they can all play together, instead of in the more sophisticated but colder studios in fancier parts of town. Many of these artists play rock music that fits a definition Tokic comes up with when gently pushed: brilliantly arranged, loosely played, connected in spirit if not in strict terms to the stuff that's come out of garages nationwide since about 1956. 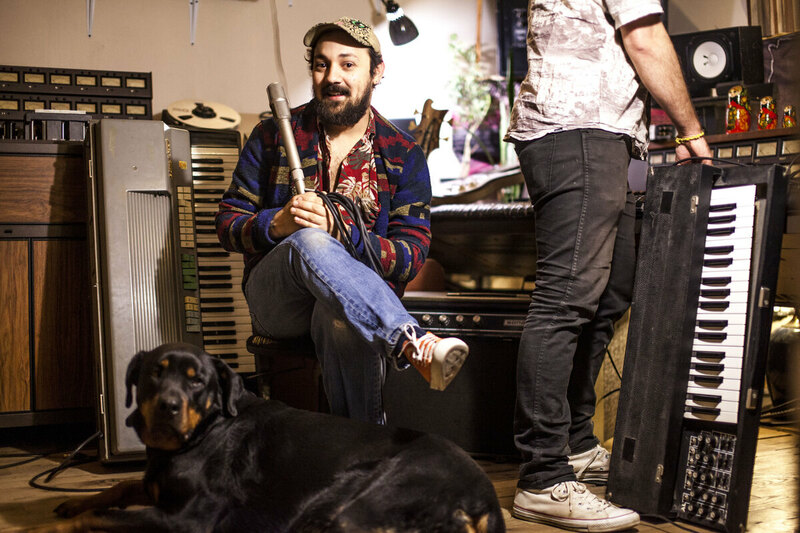 Tokic is the son of Croatian hippie immigrants who moved to Takoma Park, Maryland, just outside of Washington D.C. A musical prodigy, Tokic started working in D.C.-area studios at 13. He came to Nashville at age 21 because its vaunted recording palaces offered plenty of opportunity. "I didn't know anything about Nashville or country music, really," he said. "I just did some research and saw there were a ton of studios. But when I wound up in that world I realized that the big industry was not what I imagined. When I came here, I saw things I'd never seen before — like an artist who doesn't know the band, [recording] a song that no one's ever heard, with an executive producer who's funding the project and meeting the band for the first time ... . It was just a totally different thing. In my head, I imagined that all your favorite artists wrote their own songs. And for the first time I realized, this works on a whole different level." Tokic didn't fit in on Music Row, so he took the skills he'd continued to develop there to East Nashville, which was beginning to boom as a place for independent music. "The 5 Spot was just being turned into a venue," he said. Bands were sharing members and collaborating. "We were moving toward something," said Tokic. Even then, however, the concept of a native Nashville scene was highly unstable. "In my experience, everyone is a transplant, pretty much. I think it's incredibly rare to meet someone in Nashville who's from Nashville," Tokic said. "So many people were coming here in search of an ideology or something." With little interest in branding himself and even fewer resources — Tokic had simply pulled the console out of the basement and started recording bands in his living room — the young producer nonetheless found his reputation growing. "I went from not knowing my next move, having left the industry, to having a ton of bands to record. It happened really fast," he said. Though Tokic doesn't resist innovation (he'll use Pro Tools if an artist desires it), he'd found a way to tap into the preoccupation with tradition that animates so much Nashville music. "Traditional means a handful of people in a dirt-floor basement," he explained. "Limited microphones. I only had a few mics then! Nothing but tape to record on. And everyone played together live. Making arrangement calls with the band, and rather than working in some post-production setting, I was right there, saying, maybe that bridge should be longer or shorter, or when you take that solo maybe you should get a little more aggressive. And whoever the band was, everyone would perform it." The appeal of this approach was also economic. The bigger studios "were producing albums that sounded like something we didn't even had the means to make," Tokic said. "So it was like, we're going to just do completely this other thing. And we actually believed in it, and it started to make these other, bigger-produced records sound not so great. There's so much more guts to this stuff." A major breakthrough for Tokic came with the Alabama Shakes debut album, which the band recorded at the original Bomb Shelter. By then he was already working with local bands like Fly Golden Eagle and Natural Child, who in turn were connected to a scene that also included local favorites William Tyler, Turbo Fruits and Jeff the Brotherhood. Ben Trimble of Fly Golden Eagle, who serves as Tokic's studio assistant, helped Tokic install the sweet-smelling cedar walls of the new Bomb Shelter in 2011. The new building became a kind of hidden East Nashville landmark, both for local bands and for artist traveling from as far as London or Japan. "It doesn't sound like it came out of a factory," Tokic says of the increasingly famous Bomb Shelter sound. "All of a sudden you're imagining yourself with the band as you're listening." The Ettes became an East Nashville band a little less than six years ago, somewhat by accident. 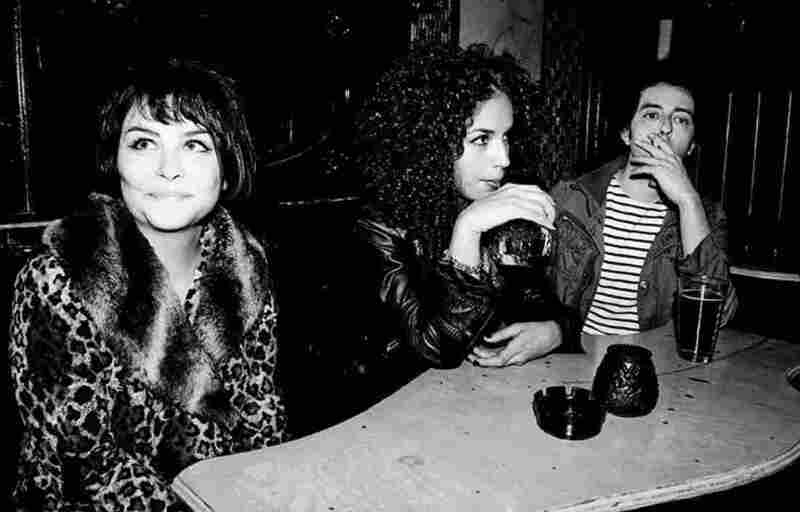 Four years ago the trio of Coco Hames, Poni Silver and Jem Cohen had been on the road almost nonstop since forming in Los Angeles in 2004. Through a friend they got a summer housesitting gig for indie-leaning pop songwriter Ben Folds, who lived in the tony Belmont area. Eventually they crossed the river, seeking cheaper rents and proximity to the friends they'd made — including Tokic, whose equipment and sensibility matched the Ettes' interest in leopard-skin garage rock. The story of the Ettes in Nashville is one of outsiders becoming community members, motivated by what was in front of them and what no longer seemed so easy elsewhere. At first, Nashville struck The Ettes — then a tireless touring band — as an ideal point of departure. It's surprisingly central — something country musicians have always known. "It is in the perfect location between Virginia and Texas," said Cohen. "And then it's perfect for getting to the Midwest and the Southeast. It's just the perfect spot." The Ettes soon met many Nashvillians living a similar peripatetic lifestyle. "This is a place where you live, and you tour, and you come back," Cohen said. "That's the way it's set up. There are musicians who 'live' here who are always on the road. This town lets you do that, because you have maybe cheaper rent, or more of a support system." Inch by inch, though, Nashville showed itself as a great home, too. There were (and nearly always have been) plenty of musicians obsessed with garage rock on the town's edges. Tokic became an important ally, and the band recorded its third album, Do You Want Power, at the Bomb Shelter, as well as one by The Parting Gifts, Hames's side band with veteran Memphis garage rocker Greg Cartwright. Cohen and Tokic also frequently mentor young bands together, including Promised Land Sound, whose debut album they co-produced with William Tyler, a beloved guitarist who's been part of the Nashville rock scene since he was a teenager. Making music locally, the members of the Ettes began to rethink the band's operating principles. "When I started playing drums, I was on the road, and that's what I was doing," said Poni Silver, who is a graduate of New York's Fashion Institute of Technology and designed clothes under the label Black By Maria Silver. "It wasn't until we came here, and had been on the road for ten years, it was like, let's take a nap. And then we woke up, and it was like, let's open a store." Fond Object is as homey as the Ettes' lifestyle was once unmoored. The trio, close friends who no longer live together, remain inextricably linked through this venture. "As a retail space, it's unique: a "creepy department store," as Silver called it, selling new collectible music, vintage and locally designed clothes and various uncategorizable tchotchkes. It also hosts film nights, concerts, an informal animal rescue operation and a small art gallery." As the band talked, out back, a couple of goats, a pig and several dogs entertained some visiting kids; in front, shoppers browsed through dollar record bins, old dishware, and Silver's latest creations. Six years is long enough for newcomers to start feeling local, and the Ettes are as shocked as are natives by 2014's economic boom, rapidly driving property values, especially on the now fashionable east side. "I'm trying to buy right now," said Hames. "There are houses that were 60 thousand dollars a few years ago, and now they're 160 thousand, and they will sell. And rent has gone unbelievably through the roof. It's really difficult." She sighed. "That was what allowed for us to move here. If not for cheap rent, we would have chosen another city. With cheap rent, we could still be a band." Running Fond Object together is a way of staying active as a band in a new way. "When we moved here and opened this store, it was a place to put our energy and creativity, partly because it was becoming so challenging to stay on the road," said Hames. "If someone can pay us to stay on the road, so that I can pay my rent, then we'll do it. But when you can't rely on that, then, you go, okay, that's not available. We're focusing on what we can do." Fond Object's other founding participants are printmaker Rachel Briggs and partner Jeff Pettit, a record collector who seeded the store's bins with the hoard he'd amassed working at Austin's legendary Cheapo Discs. And recently, the crew helped musician Tim Easton and his wife relocate their art gallery from Joshua Tree, California, to the space next door to Fond Object, formerly a tattoo shop. "The whole time we were living here, we wanted certain things that weren't happening so fast," said Cohen. "Our friends could open businesses to fill those holes. There's room here for people to do what they want to do. Not big corporations; small businesses." Fond Object does a lot for Riverside Village, whose row of shops on McGavock Pike is three miles from Five Points, the heart of East Nashville's boho-to-yuppie transformation. The house-party style shows and ersatz film screenings that happen in the backyard offer fun for the neighbors and bring in others, who'll then eat at the excellent deli or the pub across the street. Hames notes that the neighborhoods of Inglewood and Riverside were designed so that all the roads filtered into this retail strip, but over time, it became moribund. Now, in the eternal rhythm of gentrification, artists are reviving it. Rising prices are making the non-linear lifestyle that attracted the Ettes to Nashville increasingly difficult. But as entrepreneurs, they need the visitors from other neighborhoods and beyond to help sustain their business. (Cohen has even benefited from ABC's Nashville; he briefly had a role as a member of the bar band that Avery Barkley, the show's official "indie" character, abandoned for the big time. "You can recognize the back of my head, and my hands," he said, laughing, about his small-screen fame.) Balancing their goal to serve their own musical community with the need to appeal to a wider consumer base, the proprietors of Fond Object are following the example of Nashville establishments like Grimey's New and Preloved Music, which helped define the indie rock scene the Ettes entered when they moved to Nashville and has retained its credibility as it's expanded as both a shop and a venue. "It's hard to be an artist," said Hames. "If you have friends, and they can help, they can pick up your kid from school, or sit with your baby for two hours, it's a huge difference. Here, everybody does it, even with people they don't know that well. Because they know it's necessary." At El Jaliciense, a Mexican restaurant and grocery a mile and a half from the Bomb Shelter, Andrew Katz squeezed his rangy frame into a chair and recommended the guacamole. After chatting up the waiter about the upcoming World Cup tournament, he gestured around the room, which was packed with young men and women dressed not unlike himself, in skinny jeans and unassumingly vintage shirts. "When we first started coming here, there was nobody in here, and there were just coolers full of beer. It was just serve yourself. Now they're ... doing really well." It was the kind of remark someone — Katz himself, in fact — might have made in one Brooklyn's newly hipster-infected neighborhoods five years ago. Now, the actor-turned-singer is enjoying the contradiction of being both an aggrieved local and an invader himself. His band, Clear Plastic Masks, moved to Nashville two years ago, just before the current round of national fascination with the city. The chance to work with Tokic brought the Brooklynites to town; the chance to really relax into making music caused them to stay. "I spent my whole twenties in New York, and New York has this thing," said Katz, who grew up in Detroit and studied theater at SUNY Purchase before spending a decade as a stage actor in Manhattan. "There's that famous New Yorker magazine cover, where the United States ends at the Hudson River." Tending bar at Graydon Carter's Waverly Inn, serving drinks to "the mayor [Bloomberg] and his girlfriend," Katz felt the pressure many young New Yorkers feel: No success would be enough. "As an actor, I made enough money to support myself. When you're up, in a play that's working, it's the coolest thing in the world. And when you're down, you realize, you're getting wiped off the map and it's not even going to be a blip in the Post." The four members of Clear Plastic Masks met as movers, carrying heavy furniture up and down five-floor walkups. Their debut album Being There, released this spring on Serpents & Snakes, the label owned by the Kings of Leon, has an unmistakable Brooklyn feel. Katz's vocals are wry and slightly theatrical, recalling both Lou Reed and the Strokes's Julian Casablancas, and the band's Stones-ish rock is showy while still hitting hard and direct. But it also makes sense in Nashville, where bands pride themselves on understanding their musical legacies well enough to wear them lightly. "These kids are smart," Katz said of the more homegrown bands who inspired Clear Plastic Masks to lay down stakes in Nashville, which include Natural Child, Fly Golden Eagle and Turbo Fruits. "They're collectors. They cover all kinds of interesting songs. And just hanging out with them — you're just hanging out at someone's house and learning so much. This kid Joey Scala of Promised Land Sound? He's in his early 20s and he knows more about music than 100 out of 101 people you'll meet in New York City." Katz sees a relationship between Nashville's main music industry and the earnest love of history even punk bands in town display. "That legacy from the Nashville country thing ... you better know what you're talking about because those people do," he said. "I'm sure that's what appealed to Jack White or Dan Auerbach. Those two guys are musicologists. Jack White — that guy knows everything in the world about music. And I'm sure it must have had some appeal to him. And the relationship to tradition. It's holy land to so many musicians throughout the world. And that tradition is uniquely American and ... amazing. And it informs the whole rock and roll scene." Clear Plastic Masks was a band that formed to be serious — in his early thirties when he started making music, Katz was immediately ready to get on the road, and to record. A session with Tokic during an early tour opened up opportunities in Nashville that outshone what the group could find in Brooklyn. "We were doing our own thing in New York, and people were liking it," Katz said. "But we came down here, and the South just kind of got us." At first, the band's Brooklyn friends were highly skeptical of the move. "They said, alright losers, we'll see you in three months," said Katz. "That was the vibe. The first time we came back to New York, they were like, how's Nashville? Kind of snarky, like, you know, New York is the center of the universe. We said, it's awesome. Oh yeah, right, we'll see you in a couple months. And then by the second or third time we came back, in that time, that TV show Nashville had come out, and all of a sudden The New York Times is doing lifestyle pieces on Nashville. And it was this crazy switch — all these kids in Brooklyn were like, so, tell us about Nashville!" Katz feels fortunate that Clear Plastic Masks arrived in Nashville before today's hype wave. Being somewhat singular allowed the band to lay down roots without seeming like, to use a loaded Southern term, carpetbaggers. At El Jaliciense, he was joined by Seth Riddle, who runs the Serpents & Snakes label and has been working in Nashville's rock scene since the early 2000s, when he was an A&R man for the British label Rough Trade. (He was an early advocate of both Arcade Fire and the Alabama Shakes.) Riddle sees Clear Plastic Masks as harbingers of something new in Nashville rock. "They came down here, and they brought their very own thing," Riddle said. "They weren't influenced by Nashville's history. They came here because of what was here now. That to me was really exciting." For Riddle, the arrival of musicians like Katz signals Nashville's transcendence of certain regional limitations. "On this earth we are running out of space," he said. "Everywhere is going to grow. Tennessee borders eight states. We have five interstates that run around the city. We are set up to be an economic powerhouse. It's not about the music. It's a bigger thing, what's happening to the city. This is like a new Atlanta." For now, Katz and his bandmates are just happy to have found a city that's both bustling and comfortable. The singer remains a little bit startled about the move. "I felt like I'd never leave New York," he said. "It ruined relationships. A girl would be like, are you going to ever leave your apartment" And I'd say, do you know how long it took me to get this perfect apartment, above a nightclub, where the walls rattle every time a train runs by my window? I couldn't do it. But then it happened so easily in Nashville. It was like when a scab falls off. It just happens, and you think, wow, it was there so long." "We moved into a house together without the intention of becoming a band," said singer Joshua Meadors of the band Ranch Ghost, letting an iced coffee sweat on the patio of Barista Parlor, a charmingly hyper-bohemian caffeine palace two miles down Gallatin Avenue from the Bomb Shelter. "We just lived together for a while, got bored during times when people weren't working, and started playing together. We started digging a little deeper to see if we could have a different connection with each other. And we acquired a lot of instruments. It all fell together pretty seamlessly, and here we are now." 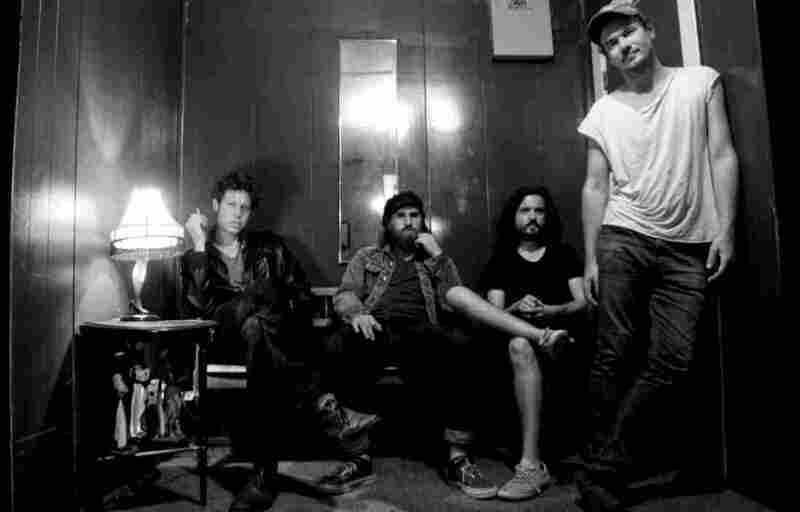 Ranch Ghost's music skirts the outer edge of Nashville rock. It's psychedelic and often trance-like, though still connected to garage rock, especially the well-oiled Southern variety defined by bands like the 13th Floor Elevators. The band, made up of locals and relative newcomers, also has some of the spirit of '90s Seattle rock bands like Mudhoney and even very early Nirvana: allegiant to the anarchic drive of punk, but interested in making a big sound, one that could translate to bigger stages. Meadors, who moved to a small town not far from Nashville as a teen, is the kind of music fan who'll "nerd out" on one record for a month; these days his taste runs to Bulgarian and Peruvian choir music. His bandmates like country, folk and surf music, among other things, he said. "And I've been listening to garage music!" added guitarist Brett Dudash, who joined Meadors at Barista Parlor. "There's a new band called White Fence I really like." Dudash is the one Ranch Ghost member who came to Nashville because he wanted something different than what the scene in a bigger, pricier city could offer him. Tim Presley, the man behind White Fence, was once a key player in the Bay Area psychedelic rock scene that gave Dudash his start. "I lived in San Francisco for about five years," said Dudash, who is from Lake Tahoe. "I lived in Oakland too. I really like the East Bay. That was the last spot I lived in before I moved to Nashville. But it just became too much. I wanted a house. It was like dying to live playing music out there." Dudash saw the Bay Area garage rock scene dissolve because its main players could no longer afford to be artists there. Most, including Presley, eventually moved to Los Angeles. Dudash opted to head toward a different South. "When I was in the Bay Area, Ty Segall and Thee Oh Sees, that scene sort of was doing what this scene has become," said Dudash. "But everybody left San Francisco. There's nothing there any more, really, except I have some friends who are in some more modern rock and roll bands, and they will play tech concerts, like, sponsored by Google." In Nashville, there is room to be a musician, or a fan, whose tastes don't translate to any kind of mainstream. Before forming, Ranch Ghost's members were part of the town's house party scene, which was very active throughout the 2000s. Even the most punk-minded Nashville bands boast high levels of musicianship, raising the bar even at the ground level. "When I came here, I saw Pujol and Jeff the Brotherhood at a house show," said Dudash. "And these guys were all friends with those guys, and it was just some young guys playing music in a house, and I was like, wow, there's something going on here!" The house party scene suffered a major loss when Ben Todd, a fan who became the community's most avid promoter, concert organizer and blogger with the website Nashville's Dead and the festival Freakin' Weekend, committed suicide last year. (Todd was the subject of a loving in-depth profile in SPIN last month.) Todd "was a guiding light for people playing music who didn't know how to create a scene," Meadors said. Todd helped Ranch Ghost find its identity in performance; Tokic is assisting in the studio. 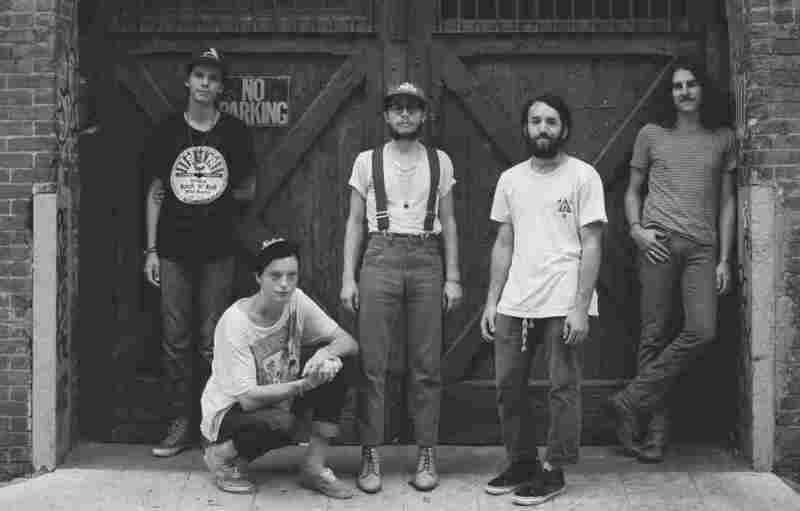 After seeing the band live, he invited them to play for him at the Bomb Shelter, and that encounter evolved into the recording of Ranch Ghost's as-yet unreleased debut album. "We set up in his B studio and played for him for two days. He was taking notes. We didn't know what was going on. We wrote a new song, and at the end of the two days, he said, I want to do an album. What are you doing the next two weeks?" With Tokic as a main investor — he recorded the album on spec — Ranch Ghost is currently shopping the album. It's a good time to be sharing outsider sounds from a city that most people think of as dedicated to country music's big mainstream. Ranch Ghost is following in the wake of bands like Diarrhea Planet, who've graduated from house parties to major festival stages. The band, which gained some new fans when it one the BMI-sponsored Road to Bonnaroo contest in 2013, is embarking on a major tour with Ghostland Observatory's Aaron Behrens and hopes to have that Tokic-produced album out soon. Today, Ranch Ghost's ambitions rest somewhere between house parties and Bonarroo's overcrowded tents. Nashville's manageability allows for them to explore that middle range. "Most of the bands where we really enjoy their music, I feel like they don't' really care about the aspect of 'career,'" said Meadors. "They're just out there having fun, and they want to play with people in the same realm. And we feel the same way, but at the same time, we wouldn't mind being able to make a living doing what we love." Asked the changes threatening Nashville's affordability — Meadors doesn't live anywhere near Barista Parlor, it turns out, instead staking a claim in an as-yet ungentrified neighborhood several miles south — the Ranch Ghost singer chooses optimistic but careful words. "For people like Andrija, it's a huge positive thing. Because he is a genius," he said. "So I think that it's a great thing that this city is generating so much interest. It's a great opportunity, and I hope people really understand that. The negative — for example, the Ben Todd situation, if it wasn't such an "it" city, I don't think anyone would care about that. It's unfortunate for his family and everyone close to him to have to go through that over and over again." The point is to stay grounded. That part is easy in Nashville, Meadors said. "It's a family here. It is. And the people who are truly doing it, trying to build the community, are benefiting. And rightfully so. I'm not afraid of a lot of people moving here! Why would it be a bad thing? Traffic's terrible, but beyond that, it's good."